Welcome to the UAE, a melting pot of cultures. A company in the United Arab Emirates is putting a new spin on dinner with the world’s largest rollercoaster restaurant. 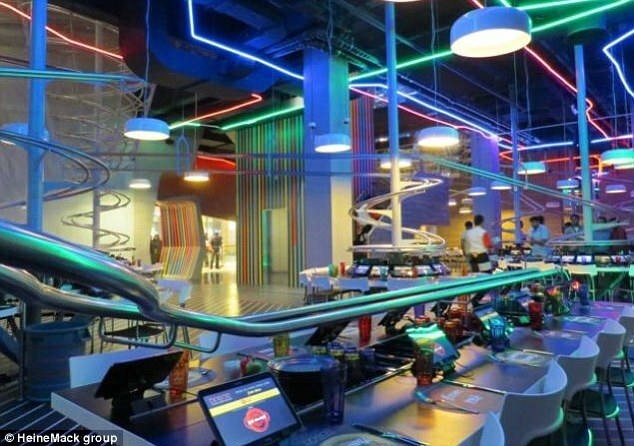 Located in a luxury shopping mall in Abu Dhabi, ROGO’s has a network of 30 individual rollercoaster tracks that deliver food and drinks straight from the kitchen to customers’ tables. 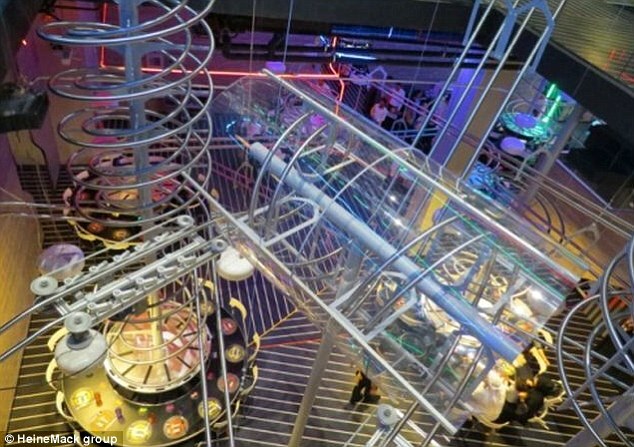 Sealed containers travel along a network of double loops, spirals and turns that is spread out through the 14,000-square foot restaurant at Yas Mall, on the man-made Yas Island. Customers place their orders on tablet computers and then sit back and wait for their meals, which are served in pots, to race along the track. 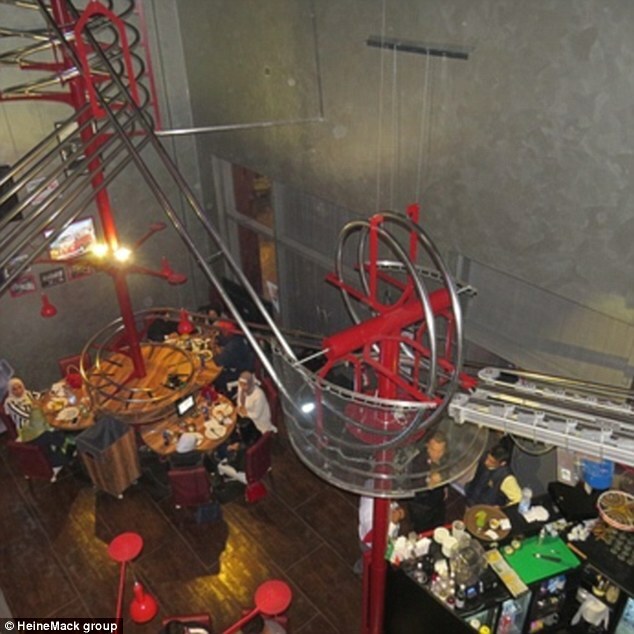 The highlight of the 360-seat restaurant is a gigantic tornado-shaped spiral that gets narrower from top to bottom. Jessica Wadih Al-Absi, chairman and chief executive of JWA Group, the restaurant’s operator, told Gulf Business: ‘Each table has its own individually designed rollercoaster track and a unique silent delivery system that thrills diners as they get to watch their food make a gravity-defying 360-degree journey to their table. In addition to Germany and Abu Dhabi, the restaurant’s parent company has locations in Kuwait and Sochi, Russia.